1. Download Arduino IDE and install the Arduino Driver on your laptop computer. 2. Plug in your Arduino board via the USB cable, and select the correct board type in the IDE software. 5. Control code can then be written and loaded onto the Arduino board using the IDE software. 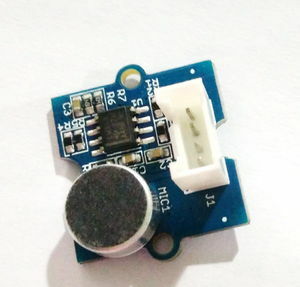 The Grove base shield plugs into an Arduino and is the foundation of the Grove system. 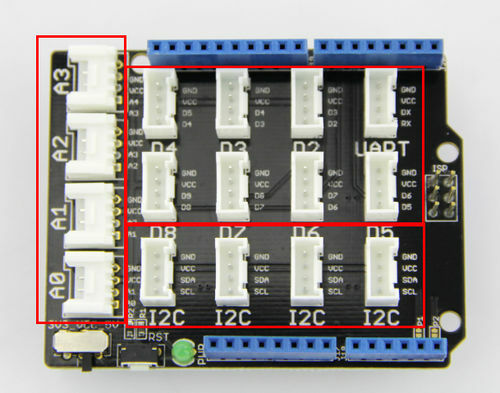 All I/O ports of the Arduino are exposed and adapted into Grove connectors which include digital I/O, analog I/O, and specialized ports (I2C, SPI, UART). Grove - Button is a momentary push button. It normally outputs LOW. 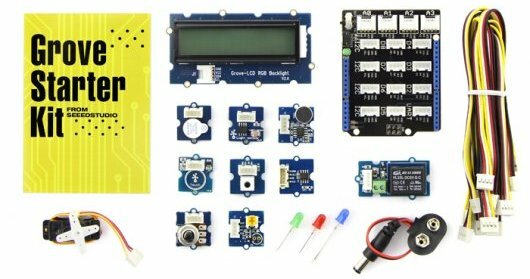 Grove - LED is designed for the beginners of Arduino/Seeeduino to monitor controls from digital ports. It can be mounted to the surface of your box or desk easily and used as pilot lamp for power or signal. 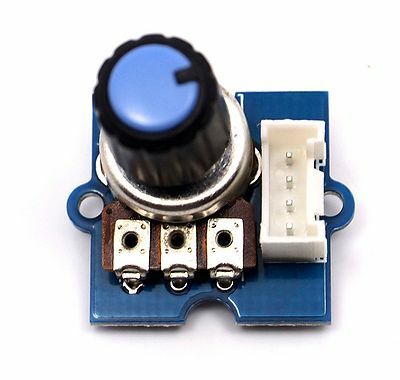 Its brightness can be adjust by potentiometer. The Grove - Buzzer module has a piezo buzzer as the main component. The piezo can be connected to digital outputs, and will emit a tone when the output is HIGH. Alternatively, it can be connected to an analog pulse-width modulation output to generate various tones and effects. 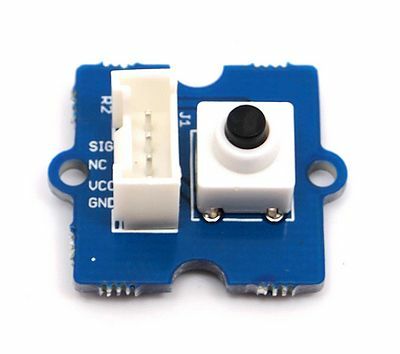 The rotary angle sensor produces analog output between 0 and Vcc (5V DC with Seeeduino) on its D1 connector. The D2 connector is not used. The angular range is 300 degrees with a linear change in value. 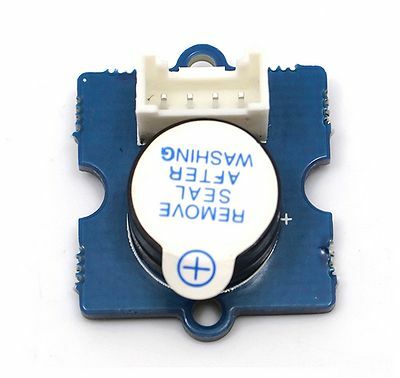 The resistance value is 10k ohms, perfect for Arduino use. This may also be known as a “potentiometer ”. The Sound Sensor can detect the sound strength of the environment. The main component of the module is a simple microphone, which is based on the LM358 amplifier and an electret microphone. 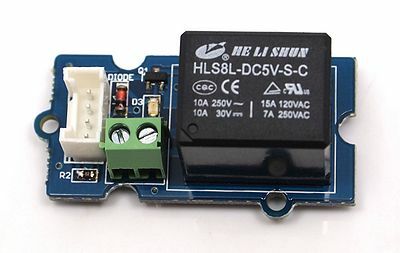 This module's output is analog and can be easily sampled and tested. 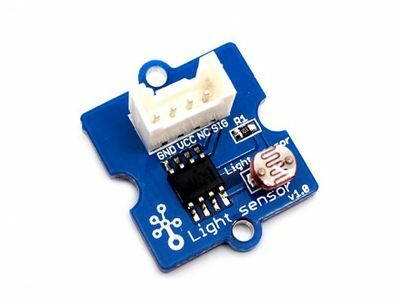 The Grove - Light Sensor module incorporates a Light Dependent Resistor (LDR). Typically, the resistance of the LDR or Photoresistor will decrease when the ambient light intensity increases. 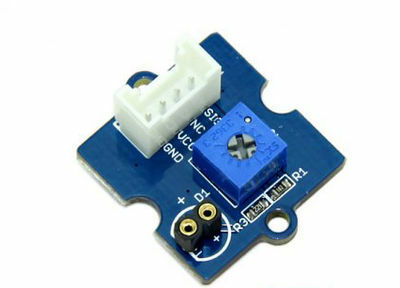 This means that the output signal from this module will be HIGH in bright light, and LOW in the dark. 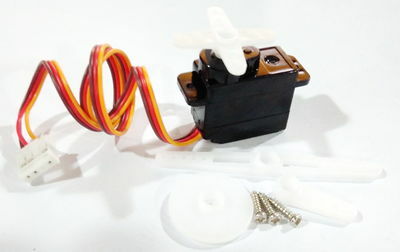 Servo is absolutely a motion control device. Using a servo library built in Arduino IDE, you can move it to any position between 0 to 180 degrees. 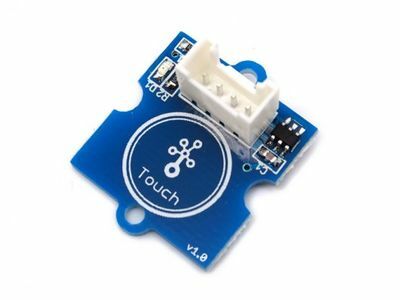 This Grove takes I2C as communication method with your microcontroller for a colourful alphanumeric display. The number of pins required for data exchange and backlight control shrinks from ~10 to 2, relieving IOs for other challenging tasks. 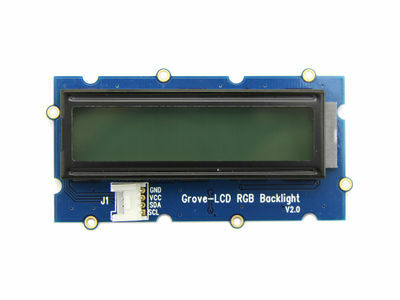 The LCD RGB Backlight also supports user-defined characters. 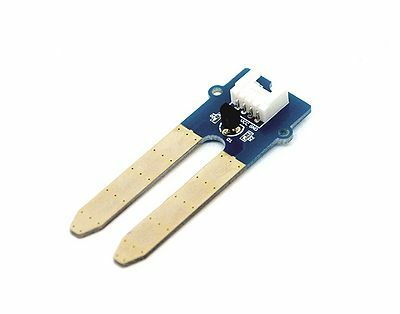 The Grove moisture sensor can be used to detect the water content of soil. 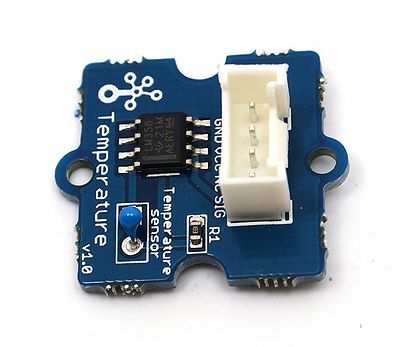 As the soil moisture level falls, sensor output value will decrease. You can calibrate and detect whether plants need water by observing the sensor outputs.